Shared parenting: will children benefit? - Mummy's Gone Mad! | Mummy's Gone Mad! Shared parenting: will children benefit? Before we get into the detail of the article, I really want to thank the team here for letting me post here with them. It means a lot to be able to get something published for my Rich Franklin Blog at great site like this. Spin, with a nod to the fathers’ lobby? 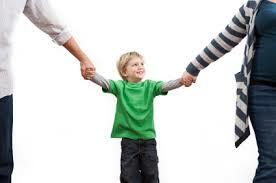 Or a move that will help children to maintain contact with both parents? The aim of Government plans published this week is clear: to strengthen the likelihood of children maintaining contact with both parents after divorce. Family courts in England and Wales will be required to work on the presumption that the child’s welfare is best served by remaining involved with both parents, unless the evidence shows it would be unsafe or not in the child’s best interest. Tim Loughton, Children’s Minister, insists that the change is not to be equated with equal time; nor does it impose any prescription on courts as to what the appropriate division of time between parents would be. He told the Commons Justice Committee under Alan Beith, QC, MP, on Wednesday that up to one third of children whose parents split lose “substantial or total contact with the non-resident parent who is usually, not not exclusively, the father”. That, he said, was bad for the child. The aim was to “send out a very clear message” that the starting point, when cases to court, was that both parents would know that unless there were risks to indicate otherwise (potential for harm to a child), the courts “will expect both of you to be as fully engaged in the upbringing of the child as possible”. Second, the aim was to deter, so that parents would know that the could not flout court orders with impunity, he said. The present system played into the hands of the resident parents who defined court orders and denied countact, he said. So penalties to “beef up” the enforcement of orders are being introduced, including tougher fines and jail terms. Parents who deny access to former spouses could be banned from foreign travel, driving or leaving their homes in the evening. The proposals are out for consultation. And no one can doubt that the aim is good. But what impact will they have? The move comes despite a warning in last year’s Norgrove Report on family justice that the creation of a legal presumption in favour of shared parenting would create an “unacceptable risk of damage to children”. And if the aim is to improve the position of (mainly) fathers, then the reaction of those groups was mixed. Fathers4Justice condemned the plans as a “masterclass in obfuscation” that would fail to reduce the numbers of children separated from their fathers. There was no definition of “shared parenting”; no presumption of shared or equal parenting; and fell well short of Conservative pre-election promises, the group said. Families Need Fathers, though, gave a cautious welcome: the legislation would “send a clear message” that in most cases, children’s interests were best served when they could benefit from the involvement of two parents in their lives. Much, though, would depend on the detail of the legislation. The Law Society of England and Wales also sounded a reserved note. A legislative presumption in favour of shared parenting could lead to unrealistic expectations from fathers with a huge rise in fathers asking courts for “equal time”. But it welcomes the proposals for tougher sanctions for flouting court contact orders. Some lawyers have yet to be convinced. Tom Farley-Hills, head of family law at Harbottle & Lewis, said that the plans were “tinkering around the edges” and did not address the problem of “parents using the system to undermine the relationship the children have with the other parent”. Ministers instead should be lobbying the Treasury against cuts to the court welfare system rather than make “toothless sound bites,” he said. And courts already have powers to move children to the other parent if orders are flouted. So will the legislation see the light of day? And if it does, will it make much difference? Most predictions so far are no — to both. But ministers believe it may only take a few cases in which courts impose harsh penalties for the message to get out that contact orders cannot be flouted. This post was contributed by the Steve Stratton’s Blog who is a regular poster both here on their own blog. You can catch them on twitter, facebook or even their very popular youtube channel.